Organizations to receive $1.5 million, collectively, from San Diego port district for outreach and prevention. SAN DIEGO — The Port of San Diego hopes as many as 150,000 students will become educated on ways to prevent the region’s harbor from being polluted, as the district’s Board of Port Commissioners approved $1.5 million to be allocated to 11 environment education programs throughout the next five years. 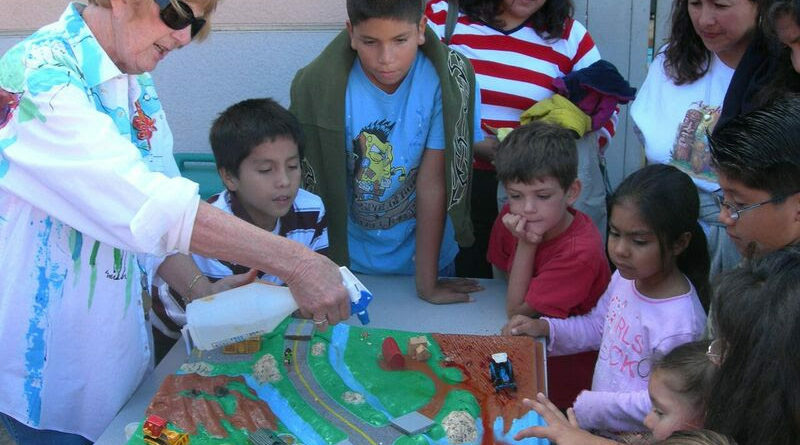 The funding initiative, approved by commissioners June 20, specifically supports curriculum development by nonprofit organizations to educate youth on environmental health and San Diego Bay’s natural resources. An Environmental Fund will be established to distribute the $1.5 million worth of grants during the next five years. Organizations receiving funding are Chula Vista Elementary School District Coastal Education Program, I Love a Clean San Diego, Living Coast Discovery Center, Maritime Museum of San Diego, Ocean Discovery Institute, Outdoor Outreach, Resource Conservation District of Greater San Diego County, San Diego Audubon Society, San Diego Coastkeeper, The Ocean Foundation and Zoological Society of San Diego. Organizations will receive between $10,000 and $365,000 during the next five years to provide educational programs on the environment. Chula Vista Elementary School District, for example, proposed to use the port district’s grant to provide hands-on curriculum on conservation and environmental protection. The district specifically uses its Coastal Education Program to teach youth about pollution prevention and habitat restoration, among other topics. Nearly 21,000 students between preschool and eighth grade would benefit from the program. Living Coast Discovery Center, which will be awarded $365,000 in the next five years, plans to use the funding to pay for docent-led field trips and education programs to teach its visitors about pollution prevention, responsible outdoor recreation, habitat restoration and clean-up programs. The port received 14 proposals from organizations seeking to be awarded grant funds as part of the EED initiative; 11 of the 14 organizations were selected.